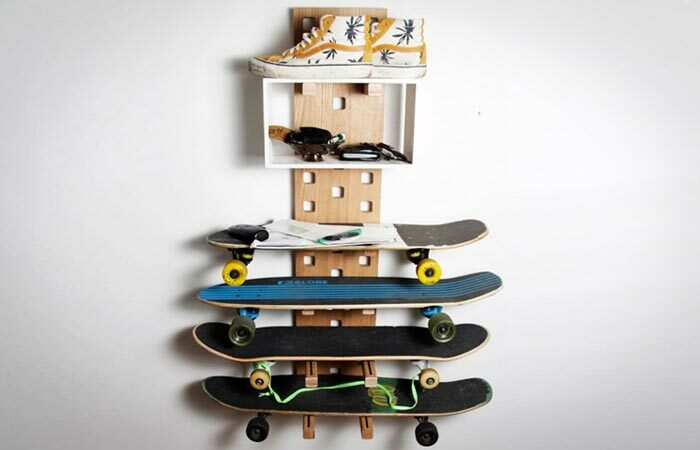 You need not live in a tiny flat to experience a pressing need for extra storage space now and again. Humans are hoarders by nature and most people tend to hold onto semi-broken, unnecessary or downright unusable stuff for years on end. That’s the most common cause of all storage woes even for owners of decently sized flats – sooner or later, all that accumulated junk and unused stuff is going to come down crashing around your ears. 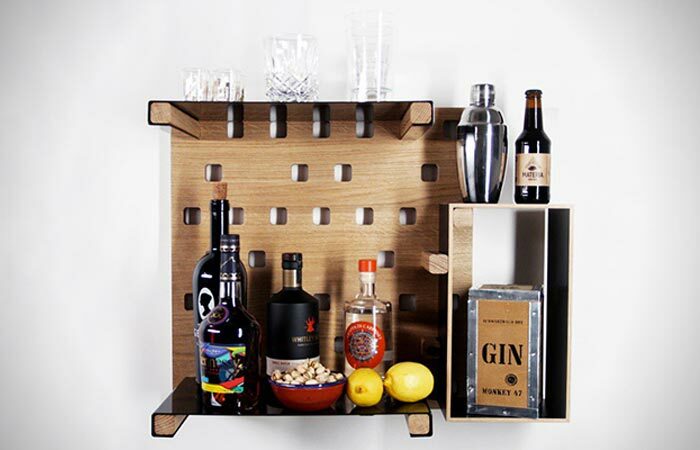 Don’t worry, we have the perfect remedy for you right here: with Harper Wall Storage by Kraft & Ulrich, you can stack all your gear up on a wall and additionally embellish your living space with a set of trendy modular shelves. 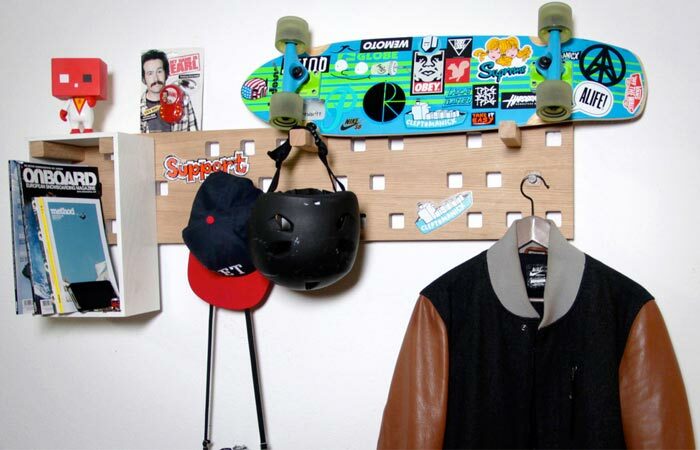 Crafted from CNC-machined plywood base with oak veneer, Harper Wall Storage is a cool modular wall rack that is simple to mount on any given wall or similar sturdy vertical surface. For superior versatility, Harper Wall Storage can be expanded to hold more gear so it will prove a perfect match for your storage needs however comprehensive these may be. 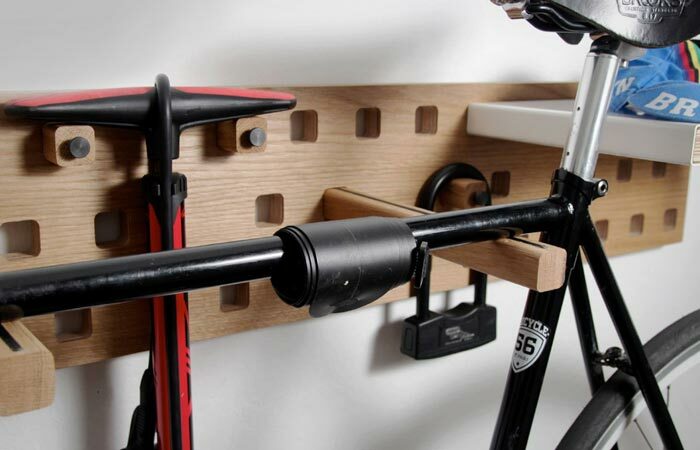 Strong, functional and flexible, the latest Kraft & Ulrich storage unit can accommodate almost any set of items you can think of, from your bike and skateboard, various bike locks, helmets and headphones to small objects like wallets, keys and jewelry.